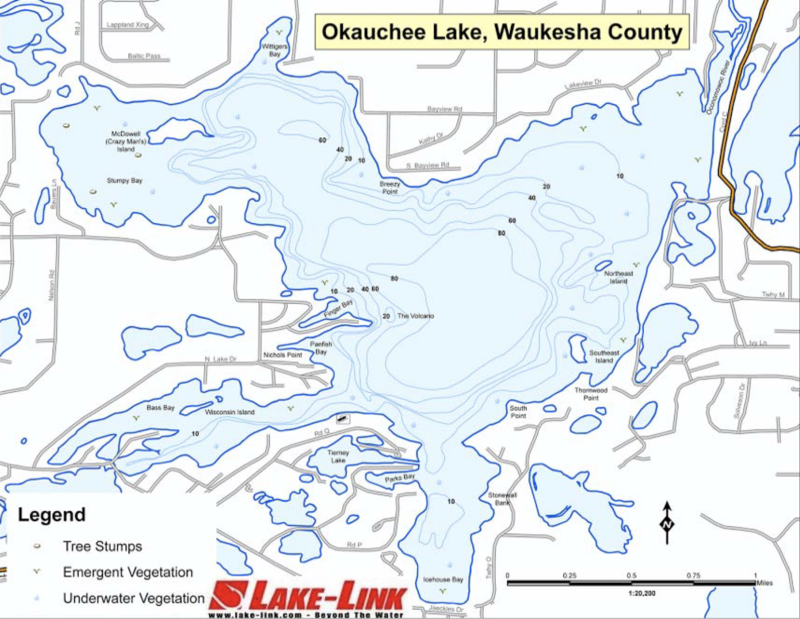 Okauchee Lake is a beautiful lake located just 10 miles west of Pewaukee Lake, near the Milwaukee metropolitan area. The overall size of the lake is 1210 Acres with a maximum depth of 90 feet. There are several bays around the lake and connecting lakes that can be reached by boat. There is an abundance of lakeside amenities around the lake (see above, links below) making it a very attractive body of water for both recreational activities and fishing! 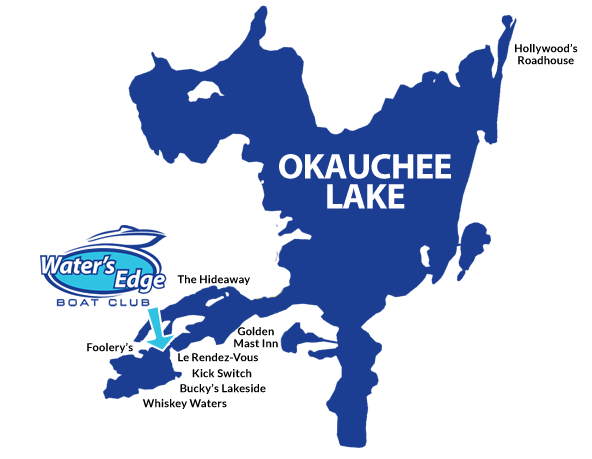 A variety of fish species are present in Okauchee Lake including Bluegill, Crappie, Bass, Muskellunge (Muskie), Tiger Muskellunge (Tiger Muskie), Northern Pike, and Walleye. Parking is available for your family and friends.